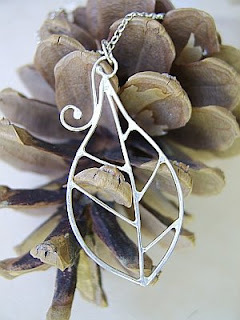 I love the silver work in Silver Moss's shop where you will find delicately forged silver work inspired by natural shapes and textures. The use of striking gem stones and shells with the silver works so well and having another good look around has furthered my desire to take a silversmithing course, she makes it look so effortless, ah one day! Thank you very much Mossy! Glad it was a lovely surprise - always nice to receive. So pleased you like the earrings! 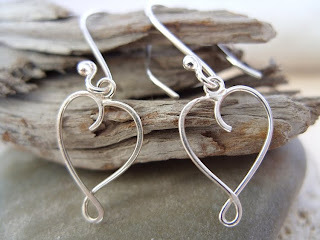 Do, do take a silversmithing course - most people find them highly addictive though!